I will be speaking to the Copyright Society of the USA on Thursday May 10, 2018 at 5:30 pm at Northeastern University Law School at 250 Dockser Hall – 65 Forsythe Street in Boston. The presentation will discuss the legal and ethical implications of recent sales or proposed sales by museums of works of art in their collections, including the Barnes Foundation, the Corcoran, and the Berkshire Museum. The event is free of charge and open to the public. RSVP is preferred but not required, see attached flyer for details. the event is co-sponsored by the New England Chapter of the Copyright Society of the U.S.A. and Northeastern’s Center for Law, Innovation and Creativity. (Boston, MA, February 13, 2018) Sullivan & Worcester LLP clients and Berkshire Museum members James Hatt, Kristin Hatt, and Elizabeth Weinberg sharply denounced today the agreement that was announced Friday evening between the Berkshire Museum and Attorney General Maura Healey’s office to permit the sale of every one of 40 works of art that the members—and AG Healey—sued last year to prevent. Only two weeks after filing a 50-page brief in the Massachusetts Appeals Court that detailed numerous violations of the Trustees’ fiduciary duties and specific restrictions on the 40 works of art, the Attorney General’s office has filed its assent to the Museum’s request to modify its governing charter to permit the immediate sale of Norman Rockwell’s Shuffleton’s Barbershop to an unnamed buyer, and to allow the sale of the 39 remaining works thereafter without any further oversight of the governance of the Museum. Two wonderful museums recently announced plans to sell major works of art. 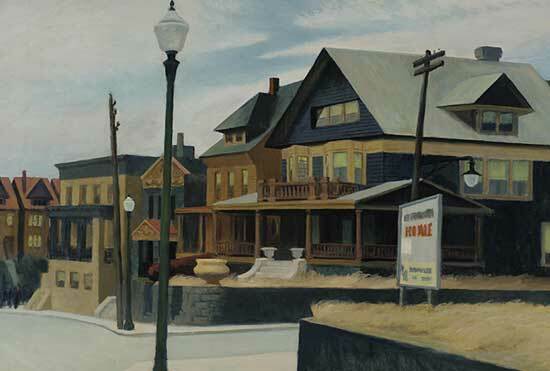 In one case, some 40 paintings, American masterpieces among them, will be sold at auction. In another, more than 400 photographs will also be sold. The former case has prompted a nationwide outcry, the latter…effectively nothing. The differences and similarities between the two underscore the aspirational rules that govern what is known as “deaccessioning,” but also remind us that principles and the goals they are meant to reach are not always the same thing. We mused recently about (and tried to clarify) the possible tension between the Detroit Institute of Arts’ successful scuttling of any plans to consider selling its collection to satisfy the city’s debts in the Detroit Bankruptcy. The purpose of the post was not guileful: it seemed likely that many readers might be confused about how Detroit could propose to sell artwork when so much coverage had been addressed to the idea of not selling artwork. In fact, the two ideas are entirely consistent with the consensus of museum governance ethics, but we thought it was an occasion to prompt discussion about the policy behind those ethical guidelines. After all, apart from New York, the rules of deaccessioning are not actually law, they are enforced essentially through collective opprobrium. To facilate that discussion, I quoted Donn Zaretsky, a prominent critic of the status quo, for readers to consider on the one hand, against the guidelines themselves on the other hand. Readers will no doubt be puzzled by the news this week that the Detroit Institute of Arts—fresh off of the Grand Bargain, in which an infusion of donations and fundraising led to the transfer of the collection’s ownership back to the museum and off the table in the context of the Detroit Bankruptcy—is moving ahead with plans to deaccession works of art in its collection, a Van Gogh in particular. There are a number of things going on in this latest development, which need to be distinguished. The two-week trial over the possible reformation of the Corcoran Gallery and the Corcoran College of Art + Design ended last week, with Judge Robert Okun expected to rule by the end of the month. Reflecting on the recent argument by the Detroit Institute of Arts that the city of Detroit cannot legally sell, let alone be forced to sell, the artwork in the museum to satisfy creditor, some overlapping terminology creates the possibility of an important confusion. Particularly in the realm of deaccessioning, this distinctions are quite important. Meanwhile, the state of Michigan today approved its part of the “Grand Bargain” to subsidize the bankruptcy to avoid sale or encumbrance of the artwork.